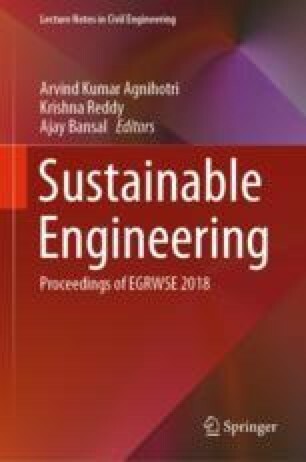 This paper studies the potential of modeling techniques for predicting the aeration efficiency of Modified Small Parshall flume. The experiments were performed in the hydraulic laboratory of Civil Engineering Department, NIT, Kurukshetra. Parshall flume is used to measure the flow rate in irrigation and sewer system. The aeration is nothing but transfer of oxygen from atmosphere to water. Where 100 experimental observations were collected. Out of 100 observations, arbitrarily, 67 were taken as training data and the remaining 33 as testing data. The input data table consists of discharge (m3/s), temperature (°C), depth (m), and the ratio of width (m) and depth (m) of the modified small Parshall flume, whereas aeration efficiency was taken as the output. Three quantitative standard performance evaluation measures, the coefficient of correlation (CC), Nash Sutcliff (NS), and root mean square error (RMSE) have been performed to compare the results of modeling technique. The comparison of results using M5P and Adaptive Neuro-Fuzzy Inference System (ANFIS) was made out and M5P was found to be the best.